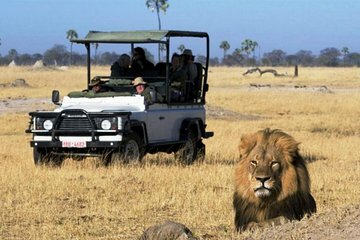 If you’re visiting Victoria Falls on a time crunch, you can still take a safari with this overnight safari tour. Get a condensed package of the best safaris have to offer: see animals in the wild, cook over an open fire, and sleep under the stars. Plus, this tour is all-inclusive, so it couldn’t be easier to go.